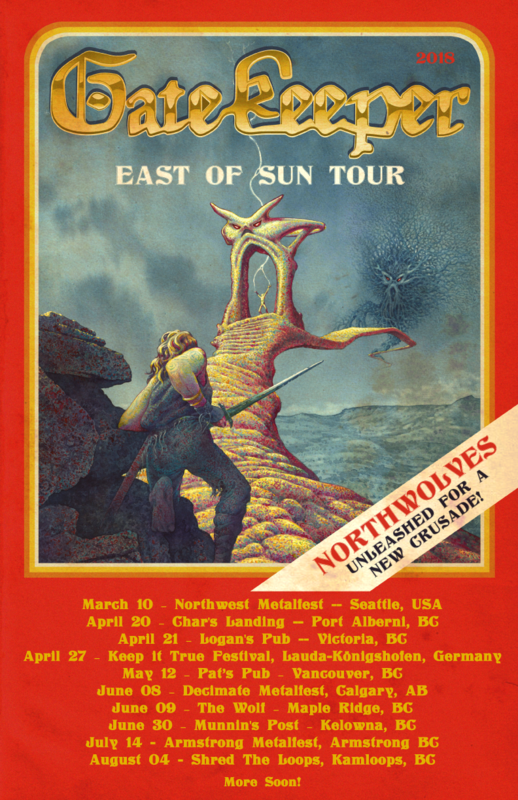 Epic Canadian metal force GATEKEEPER has partnered with Beatroute for the premiere of "Warrior Without Fear," a song from forthcoming Cruz Del Sur Music album "East of Sun". Check out the song and an interview with rhythm/lead guitarist Geoff Blackwell at: beatroute.ca/2018/04/05/premiere-vancouver-metallers-unleash-warrior-without-fear-east-sun/. GATEKEEPER will embark on the East of Sun Tour later this month, including the band's first ever appearance at Germany's renowned Keep it True Festival on April 27th. Comments guitarist/founding member Geoff Blackwell: "Two of our members have played Keep It True in the past, but for me, this will be new territory and I'm extremely excited, needless to say. The Keep It True crowd is legendary in our niche so it's hard not to have big expectations for the weekend. We want to get people moving, get them talking and we want to meet as many cool people as possible and make a bunch of new friends and fond memories. It's gonna be great!" "We are going to bring our A-game to that stage, just like we do every night," he continues. 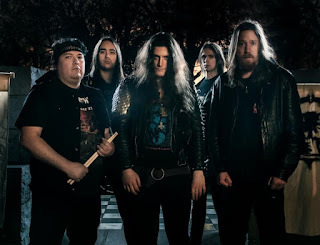 "GATEKEEPER puts on a high-energy performance and the past two years of regular gigging have turned the band into a tightly wound, well-oiled heavy metal machine."